To search our database for a specific service click here. 1272 S. Point Douglas Rd. P.O. Box 26 12724 160th St.
GR Mechanical Plumbing & Heating, Inc.
Ike's Plumbing & Drain Cleaning Inc.
2500 County Rd. 42 W.
1615 Old West Main St.
P.O. Box 7125, 2840 Wilder Rd. N.W. 1547 Hay Creek Valley Rd. Disclaimer: Certain contractors on our database have listed themselves as DBE-CERT-TG/ED-VOB-SBA businesses. 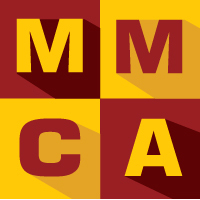 MMCA offers contractor information provided by our members and cannot guarantee accuracy. We suggest verifying correct status by using the list links above or by contacting these agencies directly.